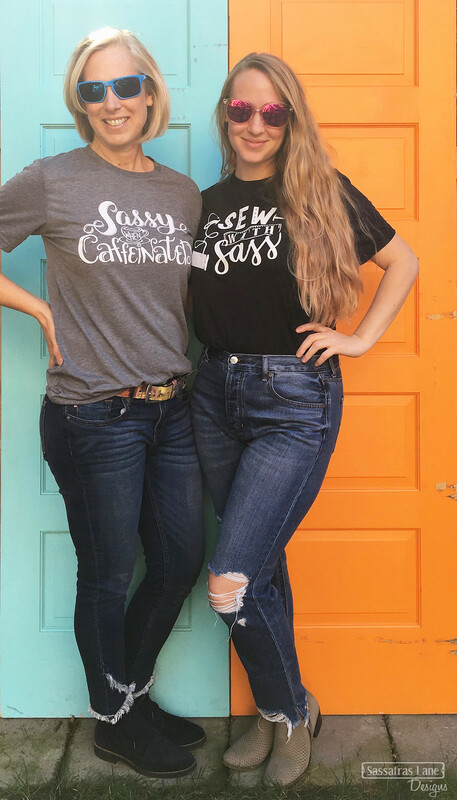 We’ve been wearing our shirts during our crazy pre-market sewing marathon, but here are some photos of us showered and in real pants sporting the shirts. We are both wearing size medium and like the fit a little loose. 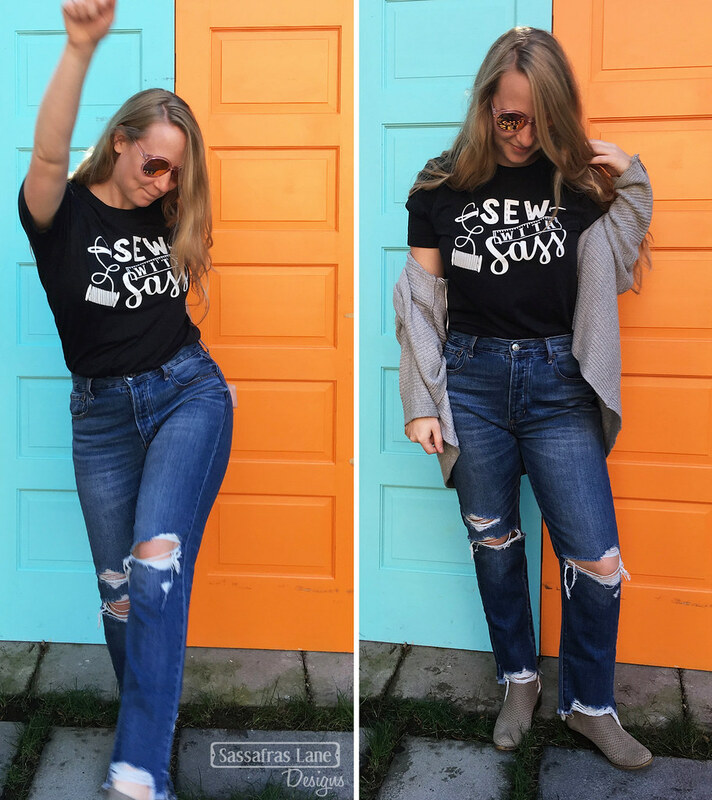 Scroll through our backyard photoshoot to read all about the sale. 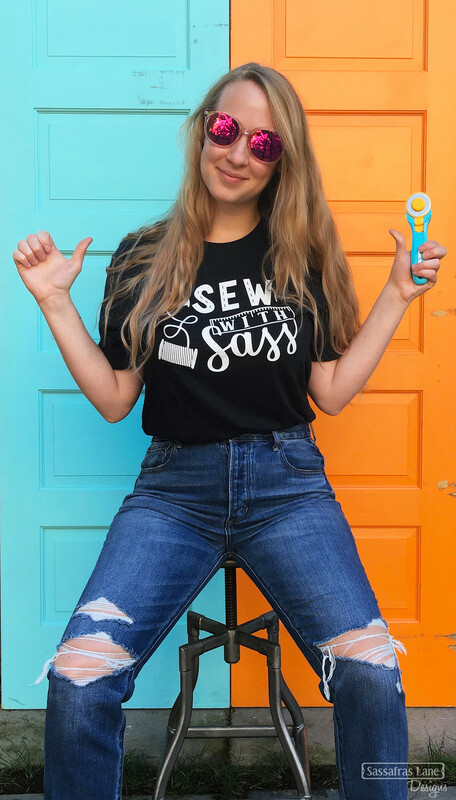 We think everyone needs one of these and they would make great holiday gifts for all your sewing friends and coffee consuming buds. 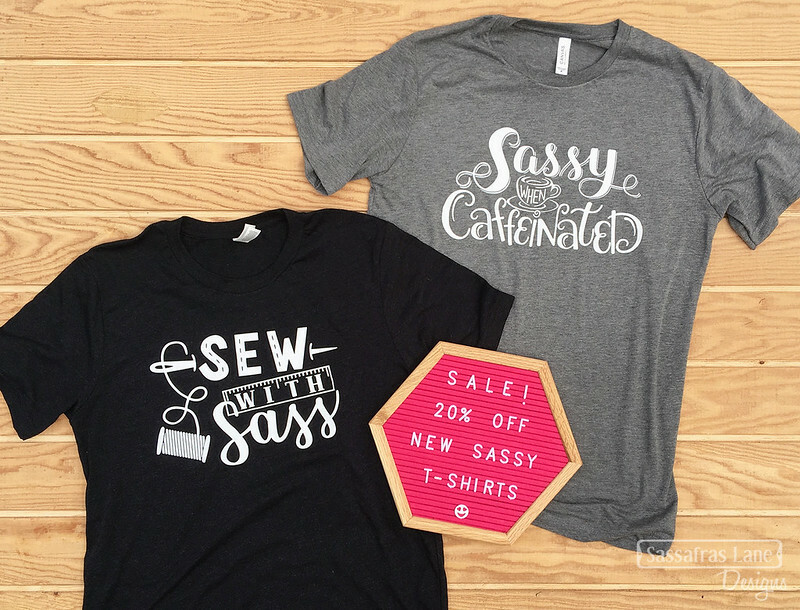 Pre-order a Sew With Sass or Sassy When Caffeinated t-shirt before Halloween and save 20%! 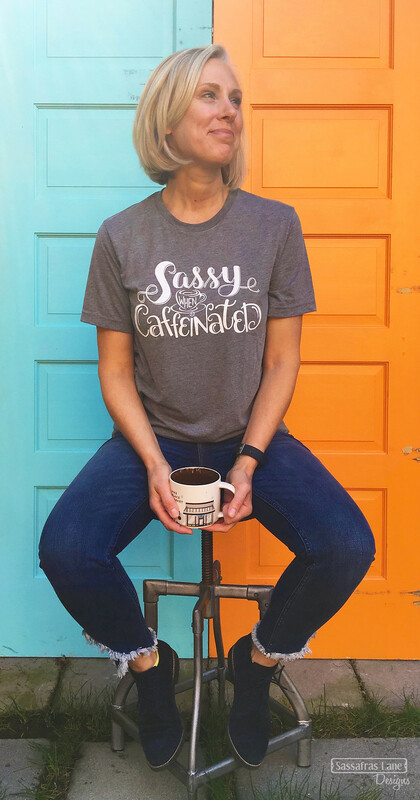 The shirts will ship out in mid November. Get shopping now! 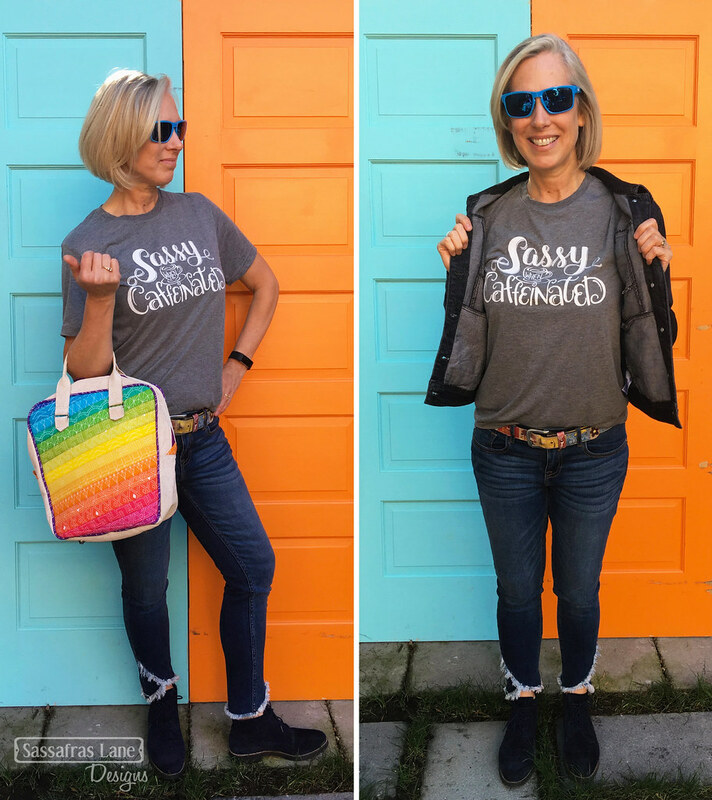 I love the Bugsy Backpack pattern. I was so surprised when I got the pattern home that it belonged to you and your mom. Making these for my friends.